Telford & Wrekin Council’s private housing company Nuplace has now let all of the 101 properties being built at Woodland Walk in Madeley. Tenants have already moved in to the first 52 properties with the remaining 47 houses to be occupied by the end of the year, once the properties are complete. With Nuplace’s next phase of developments on the horizon, anyone who is looking to rent a Nuplace home won’t have too long to wait. This second phase would see around another 160 homes for rent built on sites across the borough. 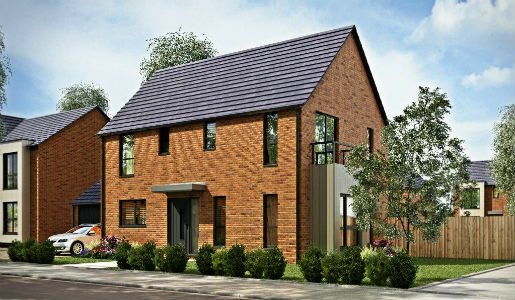 Work has already begun to build Nuplace rental homes at Matlock Avenue in Dawley and planning permission has been secured for homes at Madeley Court, while sites in Hadley and Newport are due to start on site next year, subject to planning permission. Councillor Richard Overton, Telford & Wrekin Council’s deputy leader and cabinet member for Housing, said: “It is fantastic that Nuplace has now fully let its first 132 homes at Woodland Walk and Pool View in Randlay. “It underlines the very clear demand there is for this type of housingand we are now concentrating our efforts on the next phase to give more residents the opportunity to rent quality new homes in great locations around Telford and Wrekin. The Oaklands, Dawley, is the first of four new sites being delivered by Nuplace as a part of the next phase. This development includes 47 homes which will be available for private rent by Nuplace alongside 44 homes for private sale by Lovell Homes. These are expected to be ready for tenants to move into from Summer 2017. Register at www.nuplace.co.uk to be among the first to hear about rent prices and see floor plans at Nuplace’s next set of sites. Nuplace is a commercial company set up by Telford & Wrekin Council limited by shares and established to develop and manage around 400 market rental properties. It aims to supports social and economic regeneration, meeting a need for quality homes in the rental market and generating revenue to protect frontline council services.